London: British lawmakers on Wednesday voted by a majority of just one to force Prime Minister Theresa May to seek an extension to the Brexit process, in a bid to avoid a no-deal scenario, BBC has reported. Discussions between May and Labour leader Jeremy Corbyn on Wednesday were described as “constructive”, but were criticised by MPs in both parties. Meanwhile, Chancellor Philip Hammond has suggested that he expects Brussels to insist on a lengthy delay to Brexit. He also described a public vote to approve any final deal as “a perfectly credible proposition”. But Health Secretary Matt Hancock told BBC he was “very strongly against” a public vote and he would not want to see a long extension to the Brexit process. Cooper’s attempts to prevent a no-deal departure from the EU passed by 313 votes to 312. The draft legislation would force the prime minister to ask the EU for an extension to the Article 50 process beyond 12 April — and would give Parliament the power to decide the length of this delay to be requested. The government’s attempt to limit the bill’s powers resulted in a 180-vote defeat — the second biggest defeat for a government in modern times. It comes as talks between government negotiators and Labour continue throughout Thursday after Mrs May and Mr Corbyn agreed a “programme of work”. A No 10 spokesman said on Wednesday that both parties showed “flexibility” and “a commitment to bring the ... uncertainty to a close”. Corbyn said the meeting was “useful, but inconclusive”, adding there had not been “as much change as [he] had expected” in the PM’s position. The prime minister wants to agree a policy with the Labour leader for MPs to vote on before 10 April — when the EU will hold an emergency summit on Brexit. The bill will need to be approved by the upper house of parliament, the House of Lords, to become law. Despite the vote in favour of a delay to Brexit, it is far from certain that the EU will grant the UK an extension when European leaders meet next Wednesday, April 10, at an emergency summit dedicated to Brexit. The UK was originally meant to leave the EU on March 29 but granted more time by the EU. Ahead of the UK Parliament’s vote Wednesday night, the European Commission President Jean-Claude reiterated that April 12 was the final date for the approval of the Brexit deal and that no short extension would be possible. MPs have rejected May’s Brexit deal three times now, and a selection of alternative Brexit options have also failed to win a majority of support. May’s talks with opposition leader Jeremy Corbyn Wednesday also failed to reach any compromise or consensus. Whatever happens next, experts expect a longer delay to Brexit and more political and economic uncertainty. 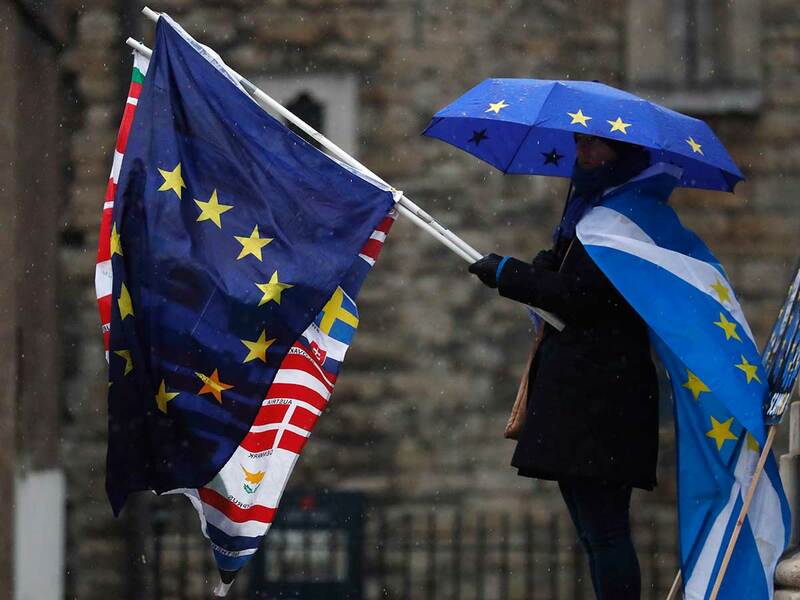 “As an American watching this from afar, we thought this would be done by now and I think what we’re increasingly coming to terms with is that no matter what agreement is agreed right now, this is going to be a long-term process because Britain is divided,” Christopher Smart, head of macroeconomic and geopolitical research at Barings, told CNBC Thursday.